Audra McDonald and Michael Shannon star in the Broadway revival of Terrence McNally's two-hander. 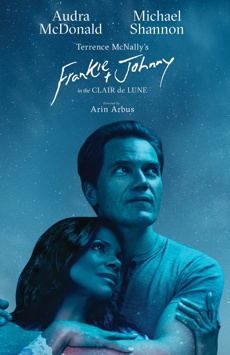 Frankie and Johnny in the Clair de Lune centers on a lonely waitress and a short order cook whose first date turns into a one-night stand. As the evening unfolds, they begin to slowly reveal themselves as they take steps toward the start of a new relationship.